Tactical Anglers makes innovative fishing products with a focus on surf fishing. Their power / fast clips are extremely popular because they work really well. Tactical Anglers is headed by one of the top surf fishermen in the country, Alberto Knie. He is an excellent resource on catching big fish from the beach and it shows in his products. 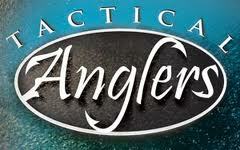 Tactical Anglers fishing products will help you catch more fish!